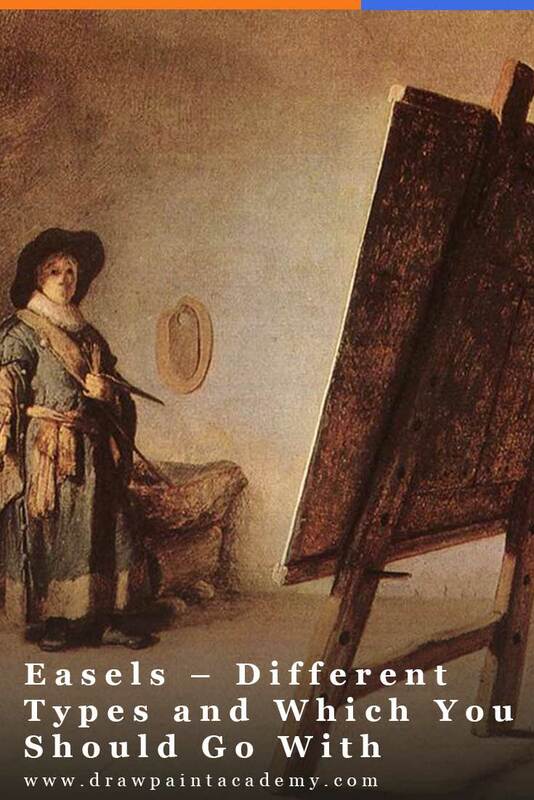 This post is a comprehensive guide to the artist easel. You will learn what an easel is, what type to go with and where to position it. An easel is basically a stand to hold your artwork. It allows you to paint in an upright position, rather than hunched over a desk. You can step back and view your artwork from a distance (you cannot do this if your artwork is laying flat on a table). It is good for your posture. It allows you to paint with the full gesture of your arm and body, rather than just the limited range of motion provided by your wrist. You can change the angle of the easel so that your painting is slanting toward or away from you (this can be useful for making sure there is no glare on your artwork). 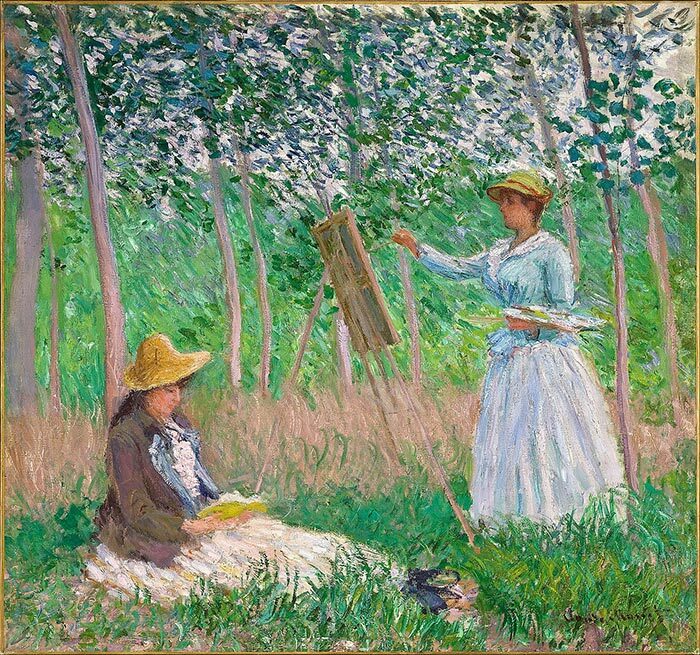 Depending on what easel you go with, it can allow you to paint plein air (on location). Which Is the Best Type of Easel for You? The best type of easel for you depends on many variables, such as how you paint, what mediums you work with, how large your artwork is going to be and where you prefer to paint. The following information will help you decide which easel is best for you. 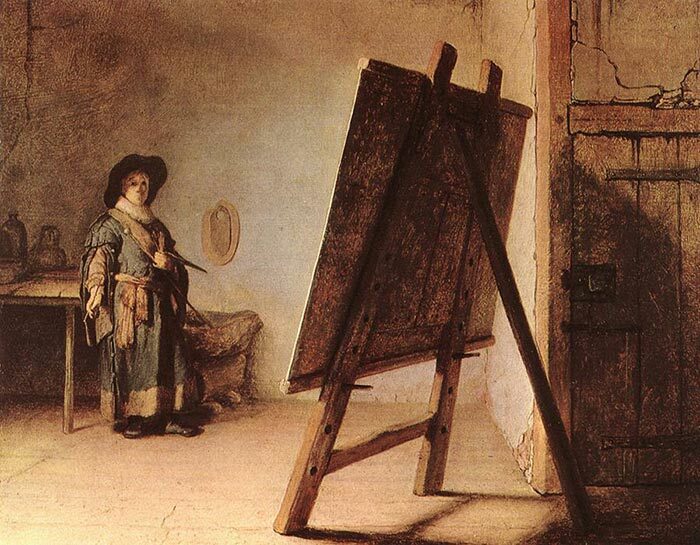 A three-legged easel (two at the front and one at the back) which is economical and portable, but lacks stability. Suitable for all levels of artists, from absolute beginners to professional artists. (Professional artists should look for higher-quality products). Does not have any built-in storage for painting supplies (usually). 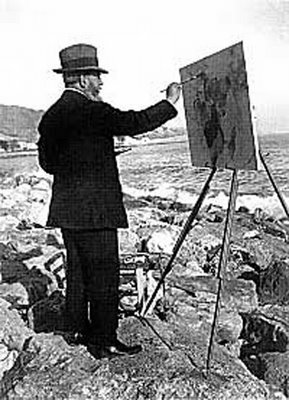 Often used for painting plein air (see the photo below of Joaquín Sorolla). Can handle small to large artworks depending on the size of the easel. An affordable option, depending on the quality of the easel. Suitable For: Beginner's looking for an entry-level option or artists who need portability and ease of storage. A popular option for a studio easel. Sturdy but lacks portability. The easel does (usually) come with wheels at the bottom so you can move it around your studio, but it is large and bulky. It will not move that much under your brush whilst painting. Can handle small to large artworks. Comes with a ledge to hold art supplies. Suitable For: Artists who need a sturdy, studio easel. Strictly for those who are working with really large artworks. Can handle artworks anywhere between 85″ to 120″ tall. Extremely sturdy in order to support the heavy canvas frame. Expensive compared to the other options available. If you are looking for a giant easel, then you should consult your local art store. Suitable For: Advanced artists who work on really large artworks. Can handle small to large artworks, depending on the size of the easel. Can come with built-in storage for art supplies. Suitable For: Artists who work with various mediums which require a change between upright and horizontal positions. Smaller designs are a great entry-level easel for beginners. 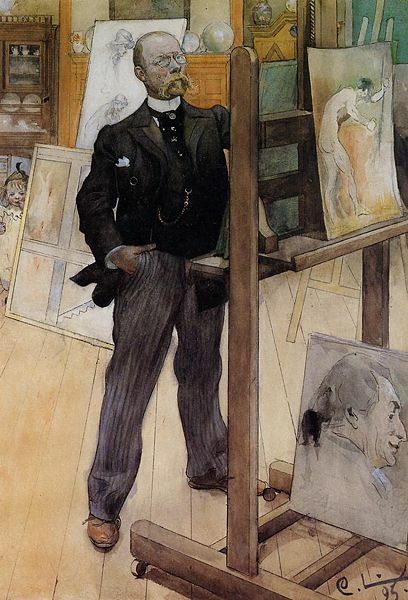 Larger designs are suitable for more advanced artists looking for a reliable studio easel. Lacks the stability of a H-Frame easel. Designed for studio use (lacks portability). Does not usually come with built-in storage for art supplies. Allows you to work sitting down at a desk. Can be used for drawing or painting. Easy to pack up and place in storage. Available in A-frame, H-frame and single mast designs. Suitable For: Artists who prefer to work sitting down at a table. Basically a tabletop easel with three legs. A favorable choice for plein air painting due to its built-in storage and portability. Some designs come with a built-in wet canvas carrier for painting plein air. Can be lacking in terms of stability. I personally use a French easel for smaller works and have no issues with it. The built-in storage is useful for holding paint, brushes and other supplies and the lack of stability is not much of an issue to me. Suitable For: Artists who paint plein air (on location) or just need some extra storage. For display purposes only (not for painting on). A classic way to display artwork. Lacks stability, but is usually portable depending on the design. Useful for art galleries wanting to display a feature piece. Suitable For: Anyone looking to display an artwork. If you are just starting out in painting, then I suggest you go with an entry-level A-frame or H-frame easel. If you are looking for something more advanced for your studio, then a higher-quality H-frame or single mast easel should suit you. If you paint plein air and need portability, then go with a A-frame or French easel. 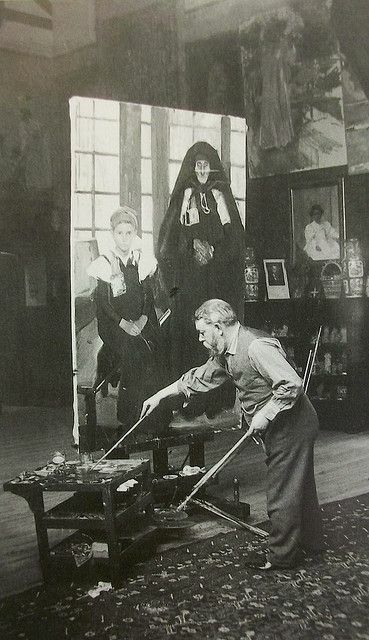 The other easels are more specialized; giant easels for large artworks; convertible easels for using various mediums; and tabletop easels for painting on a table. You have room to step back from your painting to view it from a distance (try to avoid placing your easel with a wall directly behind you). I hope you found this information useful. If you are looking to buy your first easel, you may want to take a look at some of the different easel types at your local art store to see which might suit you. If you already have an easel, then now would be a great time to consider if it is working for you and if it is positioned in the right spot.